The last time I was here at Firoz Shah Kotla I tried to see the stepwell. This time, as the construction was finished, I hopefully approached the gate only to find it locked. There were three guards standing around, so my friend said to them, "The gate is locked. We can't go in?" "You can't go in, the gate is locked," he replied. "But we want to see the stepwell. Can you unlock the gate?" "The gate cannot be unlocked." "Then how can we see the stepwell? We came all this distance. Why is the gate locked?" He then told us that there had been a suicide and until they were able to put a covering over the water, no one was allowed inside. "How long will that take?" I asked. 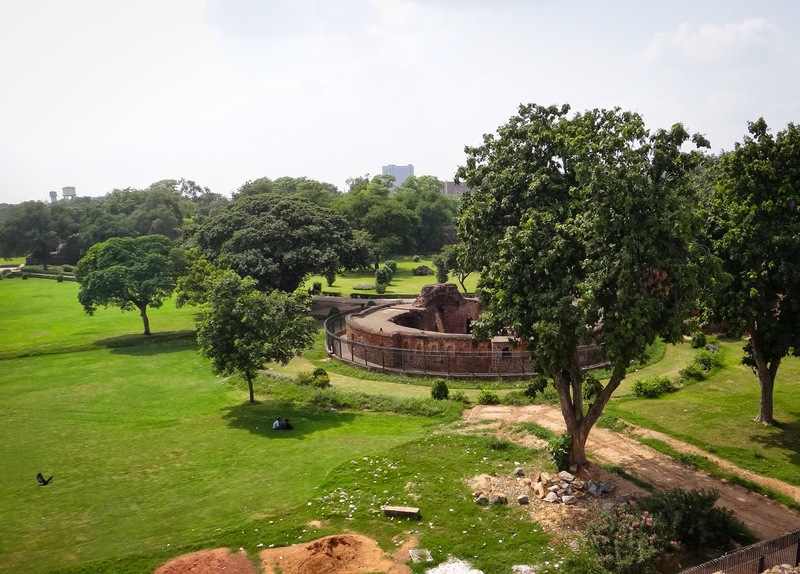 He shrugged, "Two weeks, two months..."
So once again, my only view of the stepwell was what I could see from walking it's perimeter and from atop the Ashoka pillar pyramid. 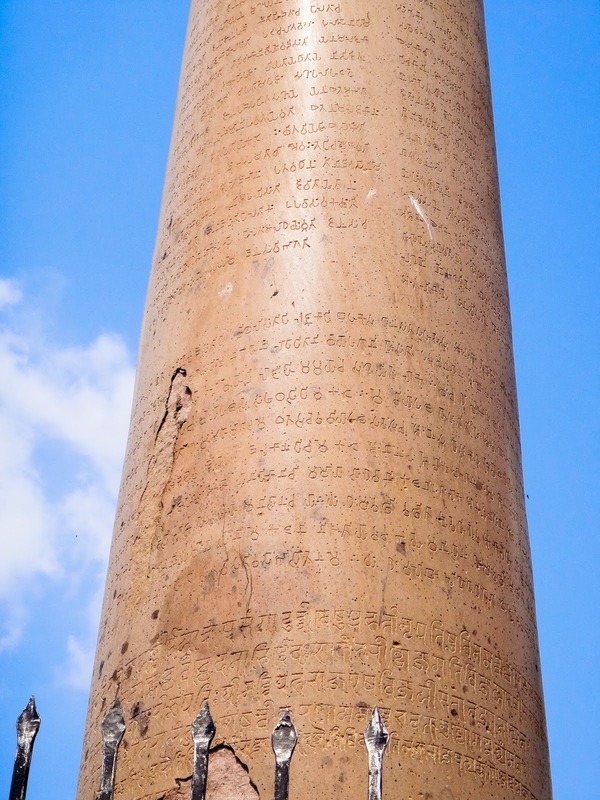 Also from the top of the pyramid was the view of the pillar and it's inscription, up close. And the view of the masjid and underground tunnels beside it where so many come for djinn puja. 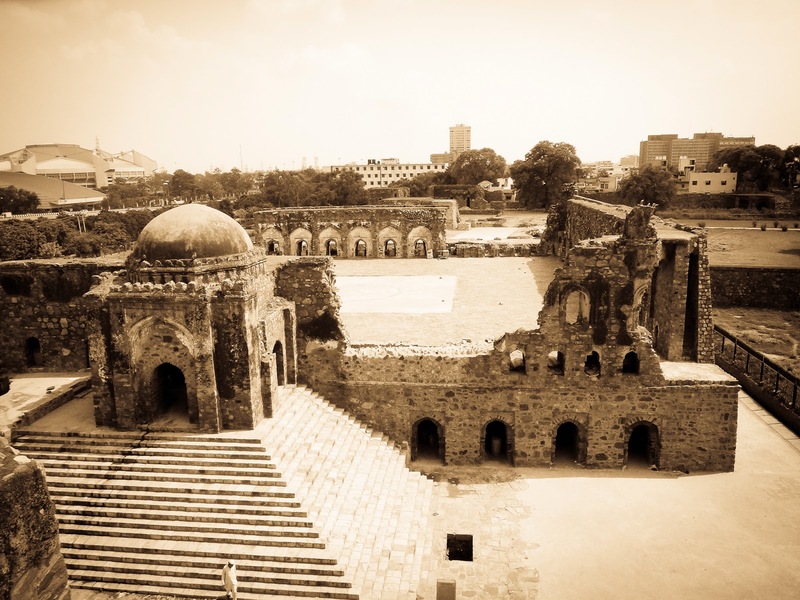 Firoz Shah Kotla is always one place that leaves me disappointed and ill at ease.